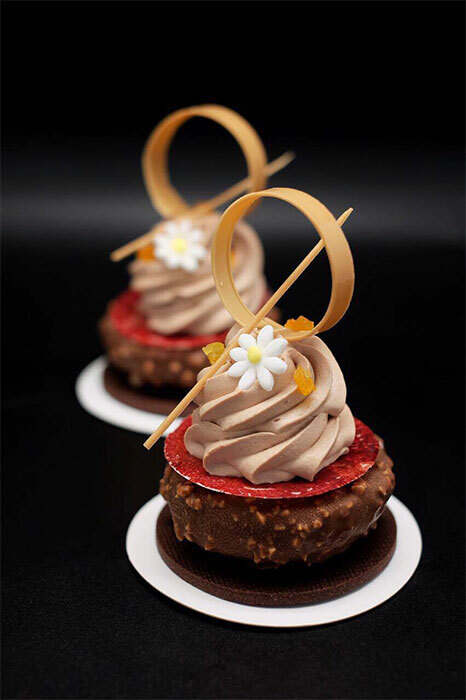 Antonio Bachour continues his relentless journey through the world sharing his vision of pastry with dozens of ideas that honor his popularity and significant experience, making pastry accessible, a hymn to color and perfection, and playing with intense flavors which are easy to identify. 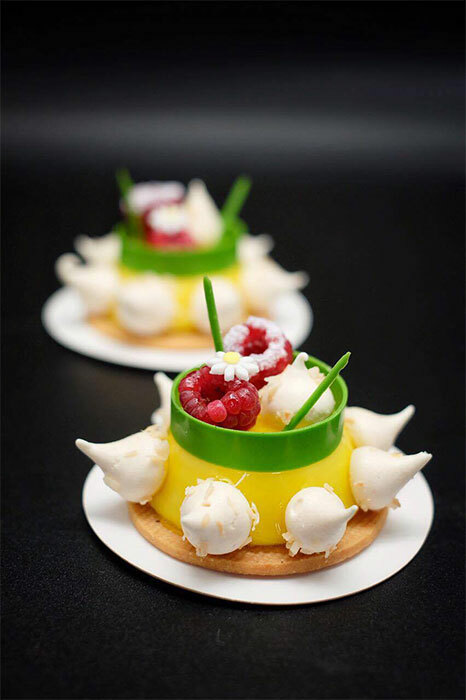 On this occasion, given the location of the course, the Miami-based chef preferred to use the tropical fruit in the area, for example with the coconut mousse based tropical entremet, with banana and passion fruit cream. 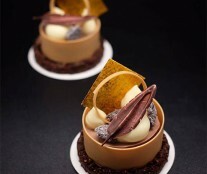 Chocolate is one of the protagonists not only of the last book Antonio launched, but also in many of his dishes. 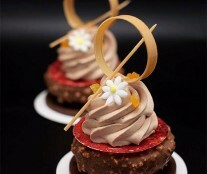 In Sweet Obsession, he prepared an entremet with blond chocolate Dulcey and strawberry compote. 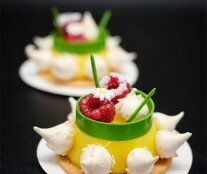 He also made an entremet of Caramelia with apricot and another with Bahibe white chocolate with mango and lime. 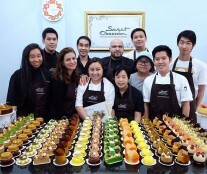 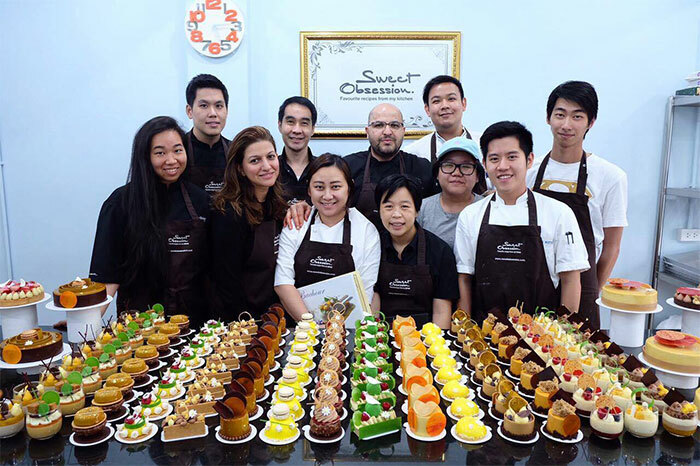 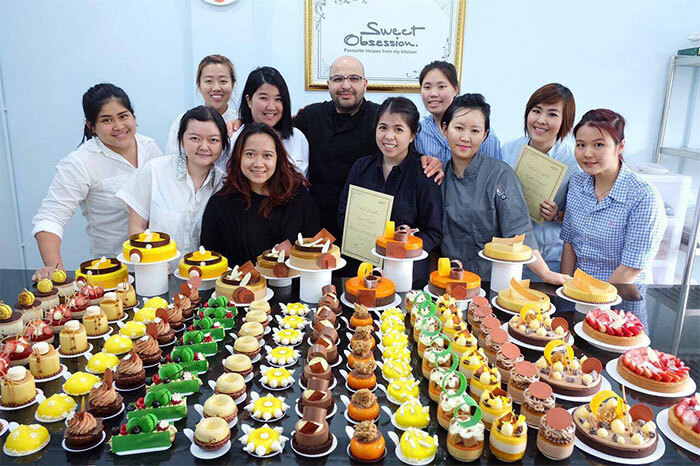 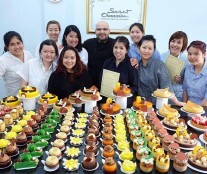 Up to three groups of students were able to enjoy chef Bachour’s talent and generosity in the Thai capital, getting to know his techniques closely and seeing how easily he gathers the brightest colors in many of his creations. 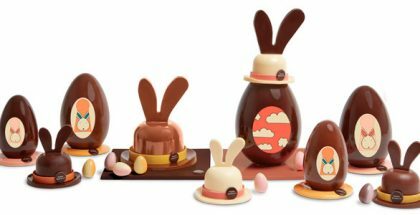 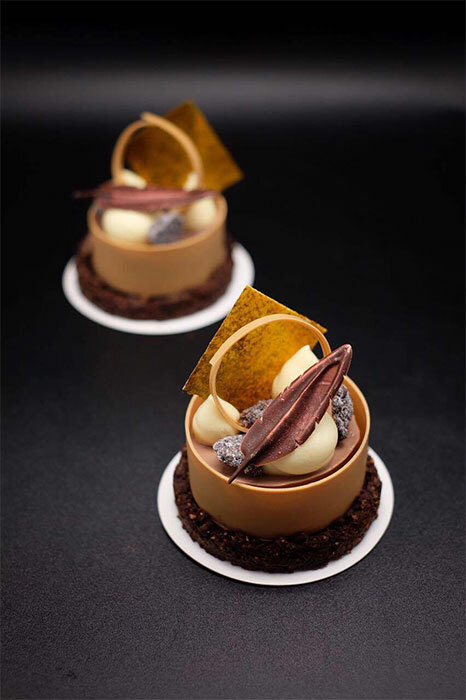 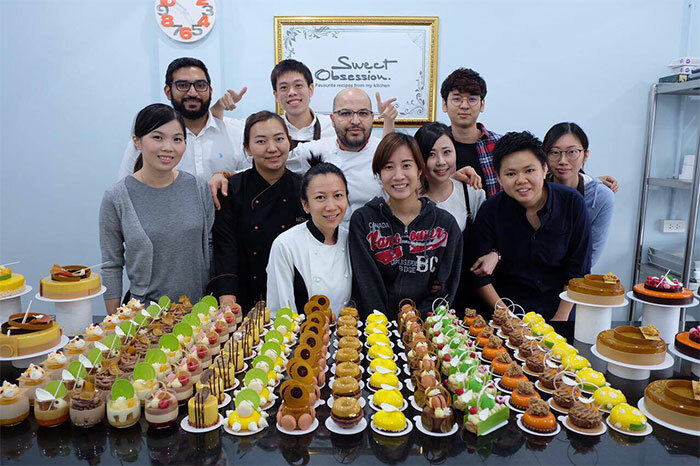 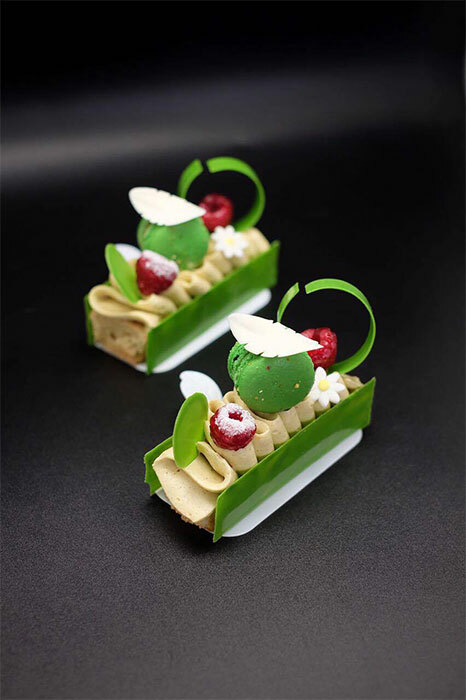 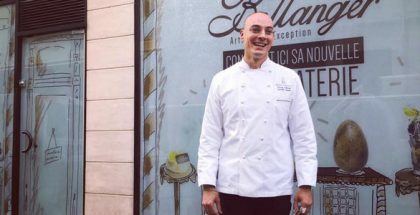 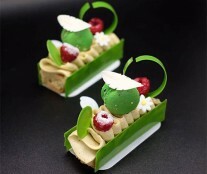 Another thing that caught our attention are some of the latest formats chosen on individual cake and pie (petit gateaux) in which this pastry chef has imbued that constant evolution he adds to his creations. 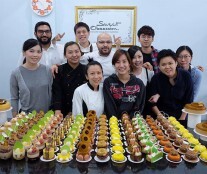 The three courses were for small groups with a completely practical vocation and students from many parts of Asia (Australia, Pakistan, Malaysia, Philippines, Singapore, Dubai, India and Thailand).